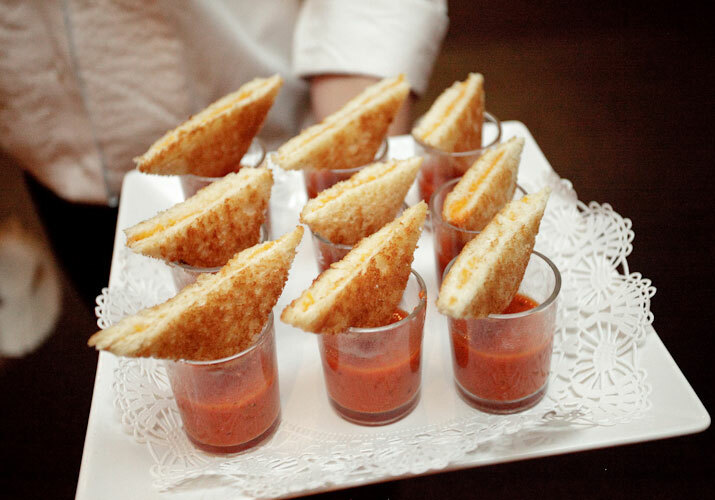 Mini grilled cheese and soups. Yes please! Great idea for wedding, party, or any event. Might even class up the Superbowl Party this year. And I’ll be sure to make the Bub happy and use his favorite soup, Trader Joe’s Roasted Red Pepper & Tomato.